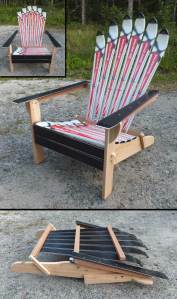 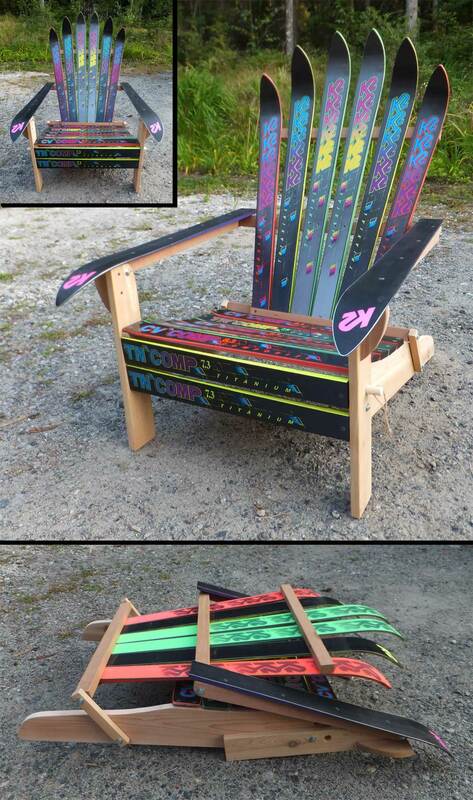 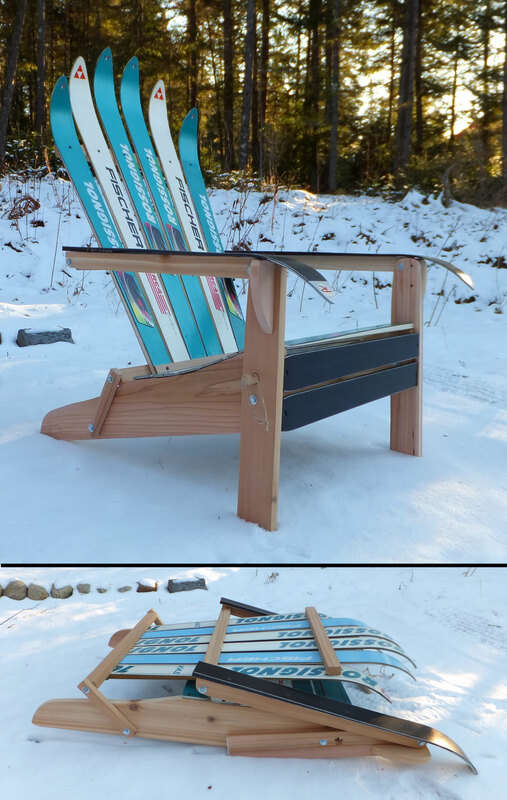 It took a bit of head scratching, but we finally figured it out – the folding Adirondack ski chair! 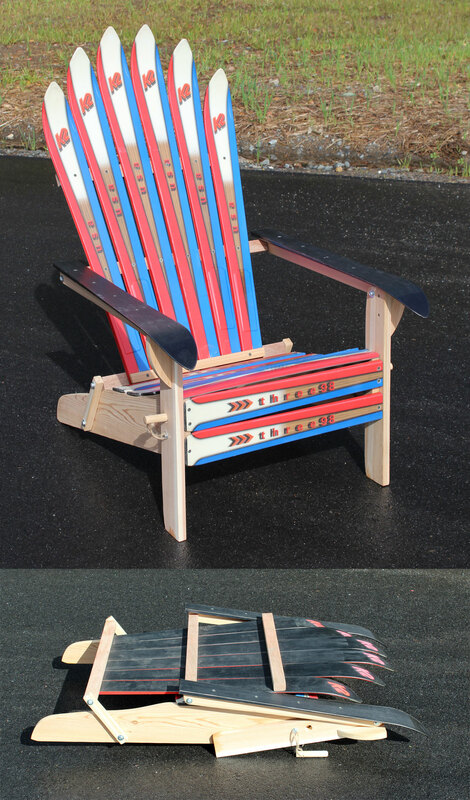 Comfortable as well as convenient for moving and storage, our design incorporates the best features of the most streamlined folding chairs we could find. 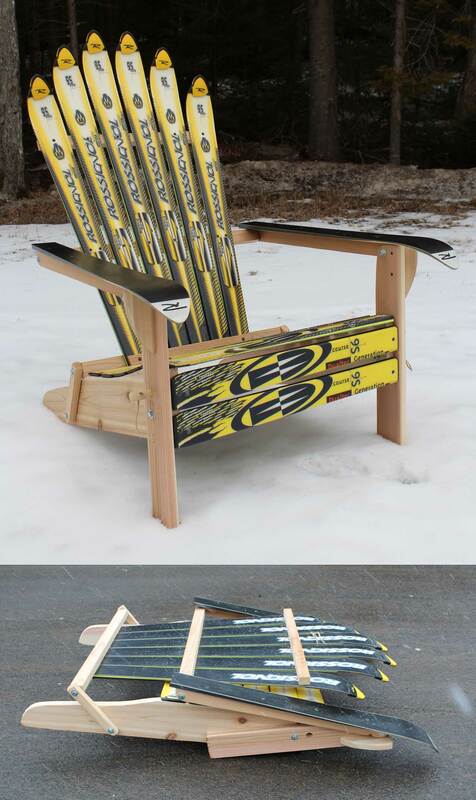 Each chair incorporates 5 color-coordinated skis and select cedar components. 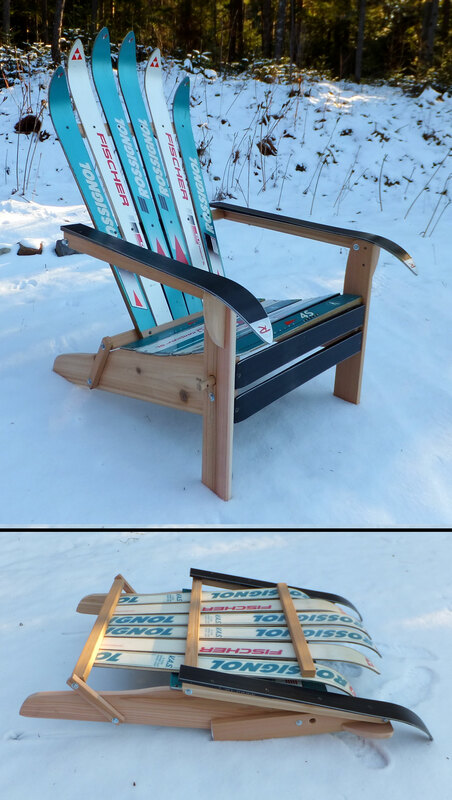 While our “original” ski chair is oversized as compared to other Adirondack chairs on the market, our folding chair is more in keeping with the industry standard. 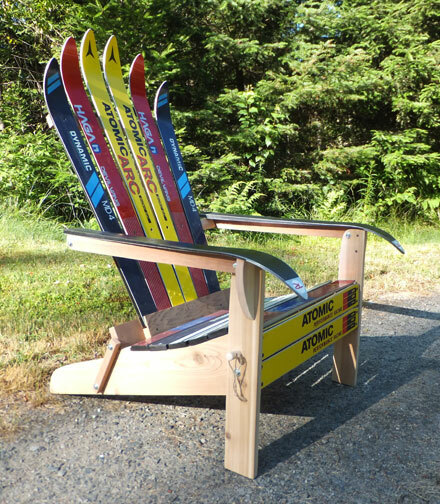 We pay careful attention to the height of the back skis, ensuring that even our taller customers can relax in style.